Friendly, easy going, responsible and mad about animals! Hey there ! 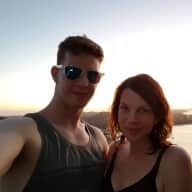 This is Joe and Hannah, Hannah is an Aussie and Joe is a Brit, we have been living across the world from each other for most of this year but Joe is now moving to Australia! Joe grew up in Surrey, England and he has a huge passion for animals and being outdoors, he is quite a practical person and enjoys creating things, He also love playing sports and being around people. He's moving over to Australia in October to get more sun and experience the Aussie culture and lifestyle. He is looking forward to learning new and interesting things and seeing Hannah *Obviously*. Hannah grew up in Newcastle/Lake Macquarie and knows the area very well. 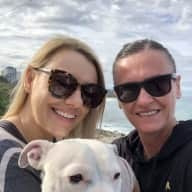 Hannah has worked with children for over 10 years in childcare centres and as a nanny in Australia and the UK and is currently working at an Out of school hours (OOSH) care centre as well as studying at Newcastle University. Hannah loves adventures and lived in the UK (Where we met!) from 2016-2018, travelling as much as possible and making the most of her two year working holiday visa! We met playing soccer at a mixed soccer competition and both share an enjoyment of the outdoors and the ocean. We enjoy every opportunity to get out and explore the natural world around us and have done lots of camping in both the UK and around Newcastle (Aus), as well as staying in many Airbnb places (you can check our reviews at Airbnb. Com) Wherever we go we always end up visiting the local wildlife park and are looking forward to meeting many new friends, both human and otherwise on our adventures together! House sitting is ideal for us as we do not know where we want to settle and while Hannah is still studying and Joe is settling into life in Australia it allows us to explore different areas around Newcastle and Lake Macquarie (more for Joe than Hannah) while enjoying the company of any new (furry or otherwise) friends we meet along the way! 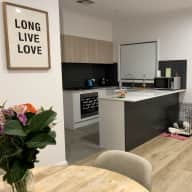 We are both caring and compassionate people, and understand that leaving your home and beloved pets with strangers is a nerve-wracking experience and we will do our best to put your minds at ease, knowing that your house and pets are being lovingly cared for and looked after while you are away. Hannah has had lots of experience housesitting since the age of 18, caring for dogs, cats, Guinea pigs, a snake, birds and fish in many different houses from Blacksmiths to Merewhether Heights to Jewells and Toronto, mostly through recommendations from people she has met through her job (families of the children she has nannied for / looked after) and has most recently looked after 4 cats and a snake in Teralba for 6 months from February 2018. Before 2018 Hannah worked as a live-in nanny, looking after 3 children and also 3 gorgeous dogs for 2 years in England, making sure all 6 of them were happy and healthy! Hannah is also currently looking after two lovely hounds in Dudley During the uni mid-semester break and can provide references and contactable referees for all these housesits/all previous work on request! Joe will be leaving behind his beloved Lola - a Spoodle who loves cuddles and has been a member of his family since 2014 - when he moves to Australia and will be looking for new friends to give his extra cuddles to! He has also helped look after Sunny and Jasper, Lolas friends, when their owners has been away and makes friends with any creature, great or small that he can find! We both seem to find our way to every wildlife park we can get to, no matter where we are in the world so we figure what better way to get to know and spend time with animals than house/pet sitting! When I met Hannah and Joe before the housesit began they both got on well with my dog, Barney, and he enjoyed their attention so I was happy to leave him with this lovely young couple. On my return Barney and the house were both in excellent shape. All the washing was done, including Barney, and the house was clean and tidy. I was very pleased with Hannah and Joe’s housesit and would definitely highly recommend them. What can I say? 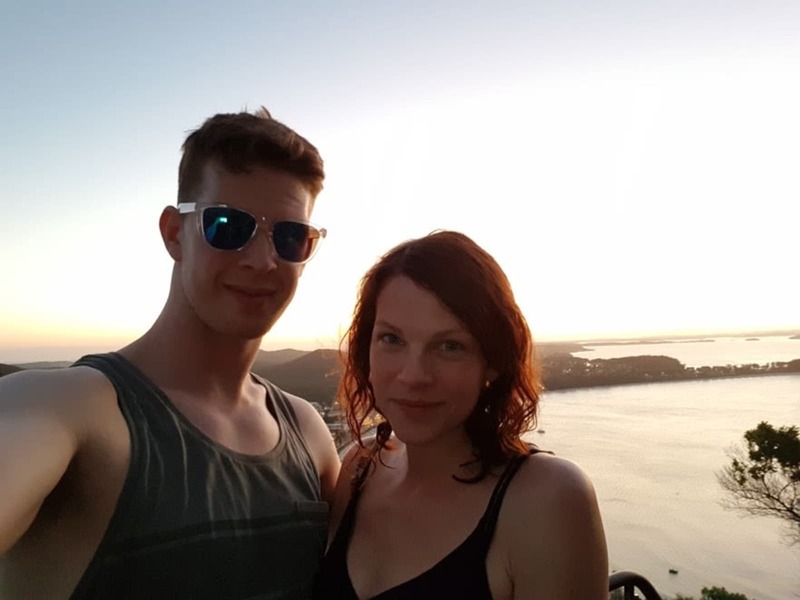 We feel completely spoilt by having Joe and Hannah as our first experience on Trusted Housesitters. From the initial discussions and meeting them, we felt 100% confident in leaving our dog Chedi and our home in their hands. They were a pleasure to have stay in our home. Their communication while we were away was excellent and we returned to a sparkling clean house and a happy dog who had clearly had a wonderful time with them. I’d highly recommend Joe and Hannah and would invite them to sit for us again in a heartbeat. Thank you so much guys! Hannah was our wonderful housesitte from February to September this year (2018). Joe joined her for some of that time. Hannah looked after our four indoor-only cats and they all reported how well she looked after them. She also cared for my husband's snake. The house was beautifully maintained - it was always immaculate when we returned. 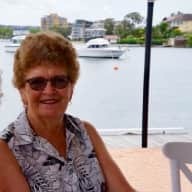 Her communication was excellent, and if we have to find a house sitter again in future, she would be the first person I would get in touch with. We have been friends for a few years now, incredibly friendly, considerate and tidy! Reliable friend who has helped in many different situations including helping with our apartment, clearing the space, painting and cleaning. Always on hand to help and is great with dogs.